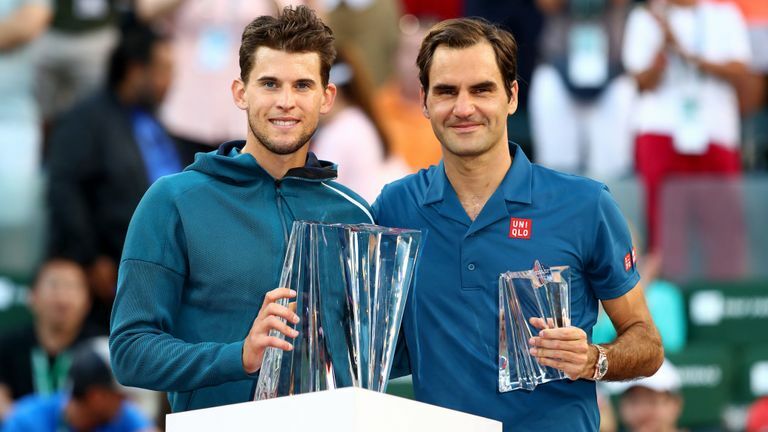 Dominic Thiem rallied past former world number one, Roger Federer, to win the BNP Paribas Open at the Indian Wells in California on Monday. The 25-year-old prevented the Swiss from claiming his 101st title, by claiming his 12th career title and first Masters 1000 title, winning 3-6, 6-3, 7-5. He became the first Austrian since Thomas Muster in 1997 to win a Masters title. “For me, it’s unreal,”Thiem said. “I enjoyed every second of it. I had to get used to Roger’s game. In the first set, he was playing amazing. I was struggling a little bit, but I fought my way back into the match. Key game in the match came in the 11th game of the deciding set, when Federer played two poor drop shots in a row, which Thiem reached and hit forehand winners. It was the third year in a row that the 37-year-old had reached the Indian Wells final. Last year, he lost to Juan Martin del Potro, who did not play this year due to injury. Following his victory, Thiem will move up in the rankings past Federer, matching his career-high No. 4. Both players are expected to feature in the upcoming Miami Open.